Arsenal goalkeeper Petr Cech admits that the club's pre-season tour of Australia and China has been a success despite a sickness bug affecting a part of the travelling squad. The former Czech international admits that it's important to keep hydrated under the warm conditions, but the tests for the squad was a welcoming one. Several players had been struck by a mild stomach bug which had been attributed to food poisoning initially. Despite this, the 35-year-old has taken the positives from the tour, and believes that playing in such conditions will stand the club in good regard ahead of the new league campaign. 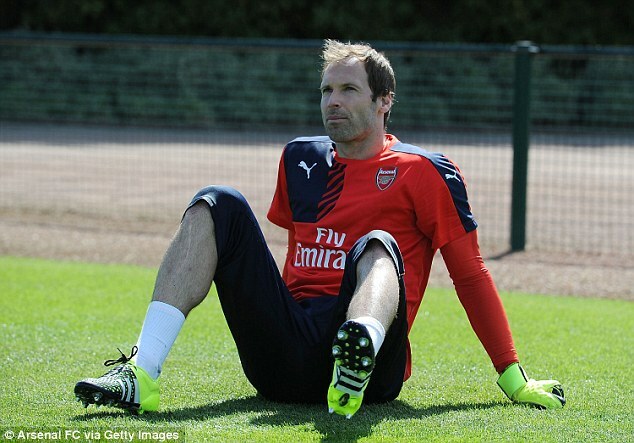 Cech had been criticised for a couple of performances during the previous campaign, but he appears to have come with a renewed vigour in pre-season after he made a string of impressive saves against Bayern Munich - a game which the Gunners on penalties after a 1-1 draw in normal time. Despite this, the defensive arrangement remains a concern with the Gunners having travelled with just two of their central defenders - Per Mertesacker and Laurent Koscielny, who did not look quite comfortable in the three at the back formation. The likes of Shkodran Mustafi, and Rod Holding are expected to link up for pre-season training next week following his international excursions while Calum Chambers is expected to leave the club soon with Crystal Palace seemingly close to a transfer agreement.